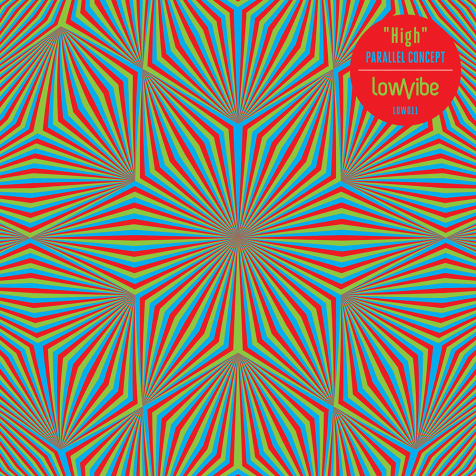 Storming back on the scene after a little break, Lowvibe are picking up the pace again with this latest release from Parallel Concept. Living in Berlin, representing his Bulgarian origins, this deep thinking innovator is keeping bass music firmly where it belongs, down low. Expect more discoveries from the Berlin underground party scene, with plenty of peace and love inside. Reinforcing Lowvibe’s reputation for the sweetest low vibes, this tune rolls along a proper melodic bassline deeper than a bucket bong. Beautifully sprinkled with cut-up vocals and shakers, garage heads will be feeling every bar of this one. Continuing the filtered vocal warehouse rave journey of this release, “Wants” is another deep roller with hipswaying percussion and uplifting chord stabs. A strictly oldskool influence with crystal clear contemporary production skills. More hectic, but somehow more chilled and very appropriately named, “Carefree” is a Roland drum machine explosion with a cute xylophone on it. The bass swells and hugs you in the breakdowns and then the beats come back and hit you in the face. Judging by the romantic title, this tune should be giving you the soulful embrace of Parallel Concept. Drifting into late-night r’n’b territory with a furniture-vibrating bassline, this tune is recommended for use in the bedroom. The last track on an EP is a chance to spread the vibe further without dancefloor pressure, and Parallel Concept takes that chance to the fullest. A vast composition with emotional power and rollercoaster arrangement, “Serial Spring” will give you goosebumps and lift you off your feet wherever you are.